When Benji's Cantina shuttered in August of last year, owners KPG Hospitality — whose portfolio includes Kung Fu Saloon and Brew Exchange — teased plans to open a fresh concept at 716 W. Sixth St. Those plans finally have been revealed: Nearby Kung Fu Saloon will move in this spring. 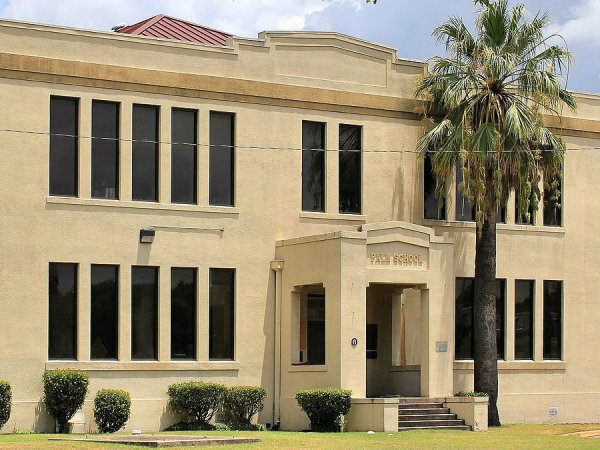 The downtown sports bar will migrate from the intersection of Fifth and Rio Grande streets to West Sixth Street. 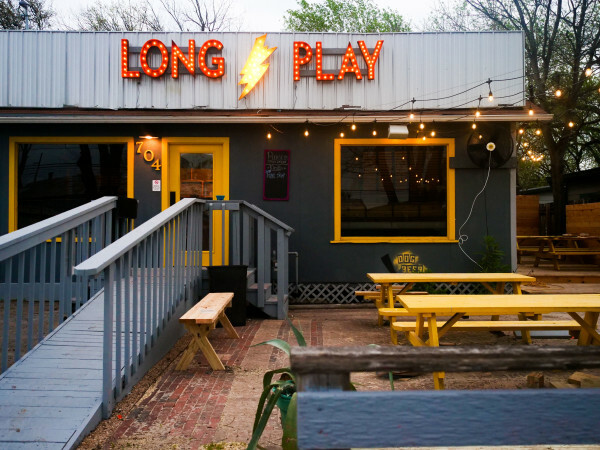 "The aesthetic has evolved a lot since the original [Kung Fun Saloon]. 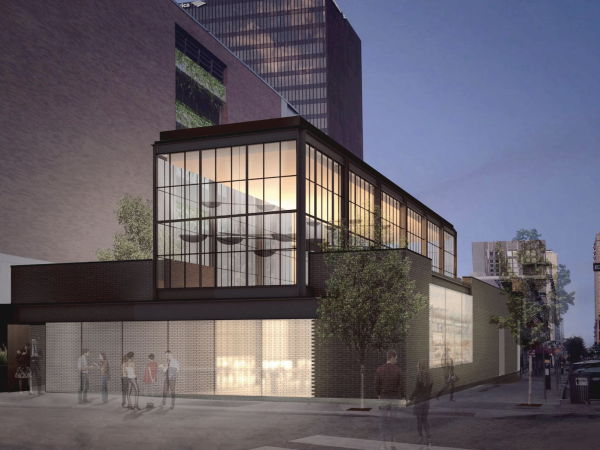 This new downtown location will be the next natural step, showcasing our design language going forward," says owner-partner Troy Cramer in a release. "We chose to move Kung Fu to the new location because of a favorable lease structure and a larger size that will allow us to expand by almost 50 percent. The additional space will allow us to offer a better overall experience with a larger patio, more games, and a kitchen." The full bar and lineup of beer, sake, and cocktails will remain the same. New food offerings from chef Blake Keely, previously of Benji's, include bar grub such as Cap'n Crunch fried pickles, cheeseburger egg rolls, tempura cheddar barbecue burgers, and more. Brunch service is also expected upon opening. West Sixth is booming with the relatively new additions of Green Light Social, the rooftop bar that took over the upstairs portion of Benji's, and a shuttle service that runs to Rainey Street. 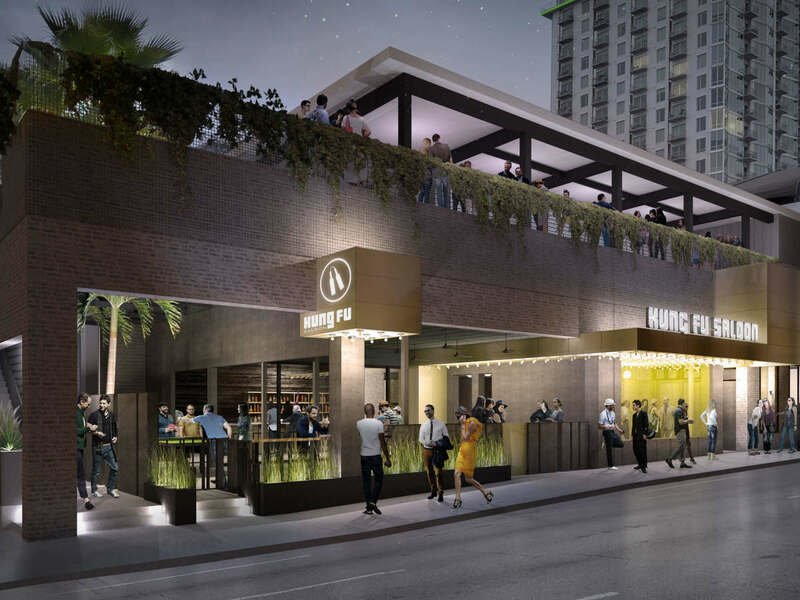 Upcoming projects include Whiskey Tango Foxtrot Icehouse, slated for a May opening; a new location of The Goodnight at 501 W. Sixth St.; and an unnamed concept from KPG, which will replace the original Austin location of Kung Fu Saloon. The Kung Fu Saloon chain includes outposts in Dallas and Houston, as well as a Nashville location that opened late last year. The bar has seen its share of controversy. In 2015, the chain agreed to implement changes to settled with the Justice Department following a suit alleging repeated discrimination of patrons.